Stanford Advanced Materials (SAM) is a trusted supplier of antimony sulfide and a wide range of antimony products from pure metal to compounds. Antimony is a bluish-white brittle metal. It has low thermal and electrical conductivity. Antimony is stable in air at room temperature, but forms antimony trioxide (Sb2O3) if heated. Upon melting, it can be used to strengthen and harden other metals. Antimony (III) sulfide is a gray powder. It occurs natively as stibnite, and can be obtained synthetically as a pigmented precipitate. It is insoluble in water, and reacts with hydrochloric acid to make hydrogen sulfide and an antimony (III) compound. It is also a semiconductor with a band gap of 1.8-2.5 eV. Used for military ammunition, safety matches, and fireworks. 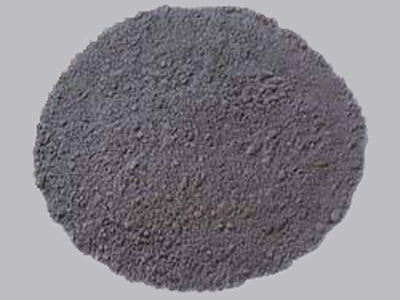 It is used as a flame retardant for the production of ruby-colored glass, brake pads, and plastics. Used as a pigment for cosmetic and camouflage purposes. Our antimony sulfide or antimony trisulfide is carefully handled to minimize damage during storage and transportation and to preserve the quality of our product in its original condition.